This is a movie that was not originally planned as a comedy and went on to win Indian National award for the best Feature film, Director and Actor for the year. “Bhuvan Shome” was released in 1969 and is widely credited as to have pioneered Indian Cinema’s new wave and is a confident endeavour at many levels. It starts with depictions of the legends of Bengal (including Satyajit Ray) and makes one think of how fortunate the language, culture and art scene of the land had been and still is. You are sure in the least to envy those who call this part of India home. The great auteur Mrinal Sen allows the script to grow organically, developing funny bones in the process untill a wholesome body of art emerges. And in his own words, it is also a rare commercial success. 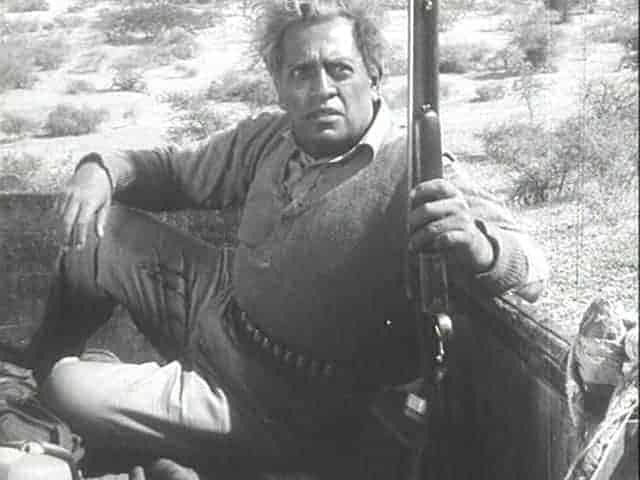 Bhuvan Shome (played by Utpal Dutt), a senior officer at the Railways realizes that he needs to get out of the daily rut and picks game hunting as the right diversion. Dedication to his job had turned him into someone respected and feared by many. The narration takes us through the strained relationship he had with his deceased wife and the uncomfortable relationship he continued to have with his only son. After a train and eventful bullock cart ride during which a buffalo chases him, he finally lands up in a village in Gujarat. Here he meets Gouri (played by Suhasini Mulay) who is free spirited and needs no encouragement to speak her mind. Furthermore, the innocence of the village girl is pitted against the strict disciplinarian from the city, a beautiful duel to watch. Enamored by her beauty and simplicity, Bhuvan begins his transformation (that even reaches his clothes) first as a better hunter and a little empathy to take back to work. The directors’ creative hand is evident in several scenes. Gouri feeding Bhuvan, villager guiding Bhuvan while rummaging through the fields in the direction of the river, Gouri running through the desert sand to help Bhuvan find birds are all metaphors left for the audience to explore and relish. Utpal Dutt and Suhasini Mulay have taken delicate care of their roles and they stand out for their gentle humaneness. The narration by Amitabh throughout the film creates the right perspective and guides us through the story. It is interesting to note that second name Bachchan is not present in the credits. 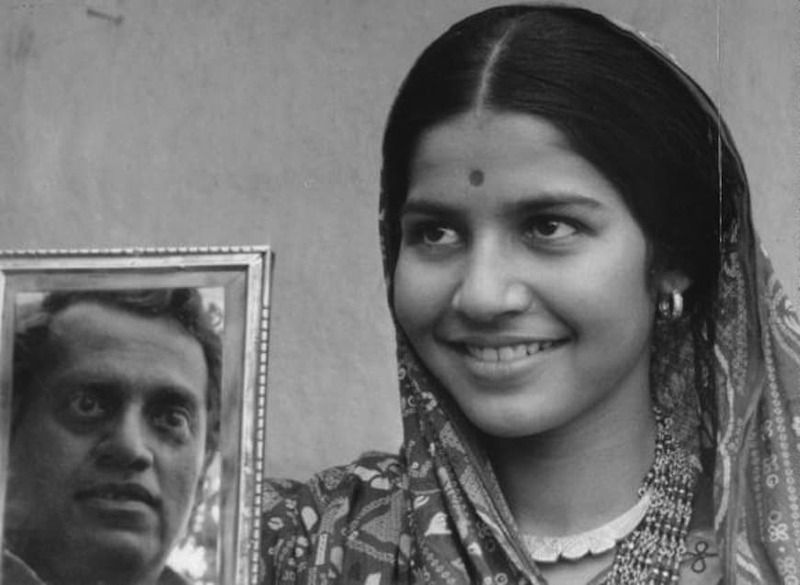 Mrinal Sen was among the first to have identified the superiority of his voice before many Bollywood movies used it heavily to further their own commercial value. KK Mahajan has captured the barren village landscape competently. And as a tribute to him, towards the end, there is a scene where the protagonist reminisces through the visuals he experienced on the trip. Ram Mohan gets the credit for the interesting use of animation (not common in those days) while portraying a government officials’ workday. Background score and vocals further the movies comical and hamlet themes. Social commentary is abundant in the screenplay. Equating bribery to the tips shared by contended passengers, how a girl needs to get married and bring luck to the house she is married into, how the natives need to adapt for tourists, the need to become a tree if you are looking for birds are all relevant in today’s societal milieu. The protagonist is aware that the past 25 years of following strict rules and principles has moulded him away from the general public. He seems powerless to change until he finds Gouri who is forceful enough. These are themes that stay relevant for generations and though Bhuvan Shome may not have wanted us to empathize with him for the way he was, he definitely wouldn’t mind us rejoicing as he takes exciting new steps forward.